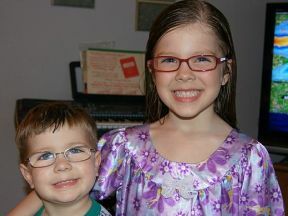 Adam and Ryann, ages 3 and 5. Adam wears glasses (bifocals) for a cataracts. Ryann wears glasses for nearsightedness.